Jad-Faraj Abi Semaan is contesting his disqualification from the Arts and Sciences Federation of Associations by-elections. Right before polling closed on Nov. 22, Abi Semaan received an email from the elections Chief Electoral Officer, Ekaterina Roubanova, saying he had been disqualified because of allegations that he was hanging out and campaigning near polling stations. “These accusations that [Roubanova] came forward with were invalid because not only did they not happen but they’re inflammatory, accusatory,” Abi Semaan said. ASFA’s standing regulations say that no campaigning can be done within 15 feet of any polling stations, and campaigning materials are also not allowed during polling period. Abi Semaan denies the allegations and has contested his disqualification with ASFA’s Judicial Committee, which will review the case and make a decision on whether or not to uphold the CEO’s original disqualification. The investigation started on Wednesday, said Abi Semaan. ASFA’s standing regulations say that Judicial Committee has to meet within three days. Roubanova had called Abi Semaan the day before he was disqualified to tell him not to hang out around polling stations, Abi Semaan said. He denied the allegations then, but added that he went out of his way to avoid the polling stations either way. Roubanova justified her decision, and said she has photo and video evidence of Abi Semaan hanging around polling stations and will submit it to the Judicial Committee. ASFA’s current president, Jonathan Roy, said that he respects Roubanova’s decision. “There’s credible evidence and whatever [Roubanova] sent to [Judicial Committee], or whatever [Abi Semaan] sent to [Judicial Committee], I’m fairly certain that the same conclusions will be thought of and come to,” Roy said. Abi Semaan first got into trouble when his friends were campaigning for him during the polling period that ran from Nov. 20-22. 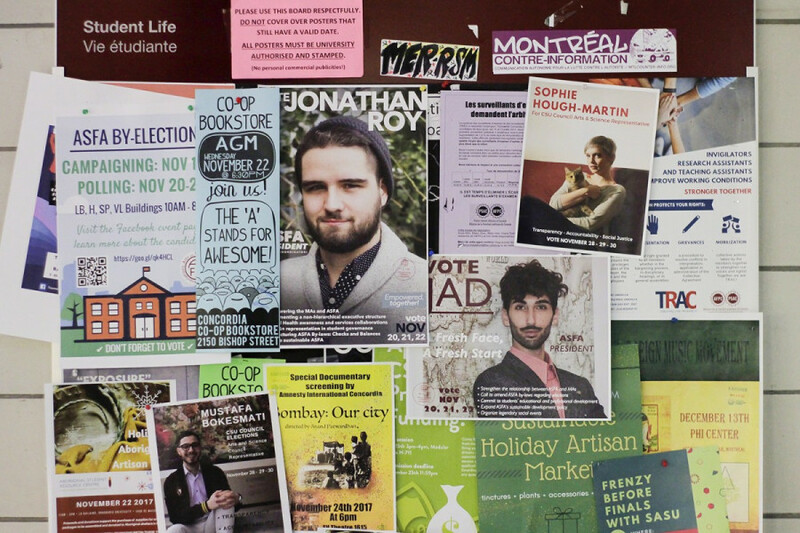 “You can’t hold me responsible for every single student at Concordia and what they say or what they post,” Abi Semaan said, adding that the issue was dealt with and the Roubanova said that he would not sanctioned for others people posts. With files from Franca Mignacca.